It’s hard to believe that George Harrison of the Beatles shuffled off his mortal coil almost twenty years ago. But, alas, it’s been that long. 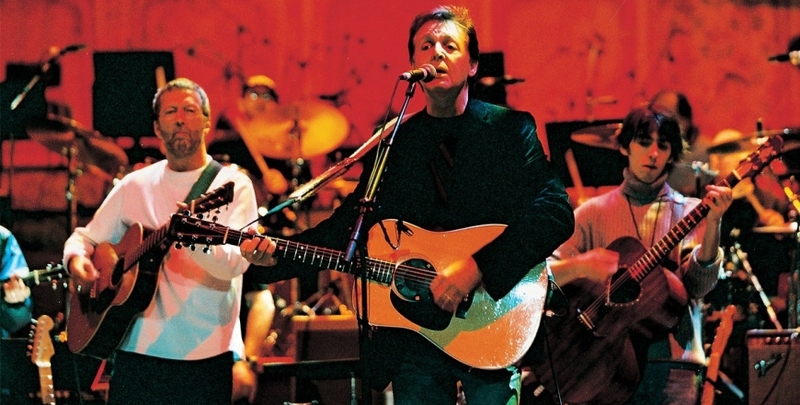 If you’re feeling like you want to reminisce, check out Concert for George, the 2002 performance tribute in his honor. Held at London’s Royal Albert Hall and featuring Harrison’s songs and the music he loved, the concert includes rock luminaries Eric Clapton, Joe Brown, Paul McCartney, the late Tom Petty, Billy Preston, Ravi & Anoushka Shankar, Ringo Starr, and more. Amherst Cinema, 28 Amity St., Amherst.